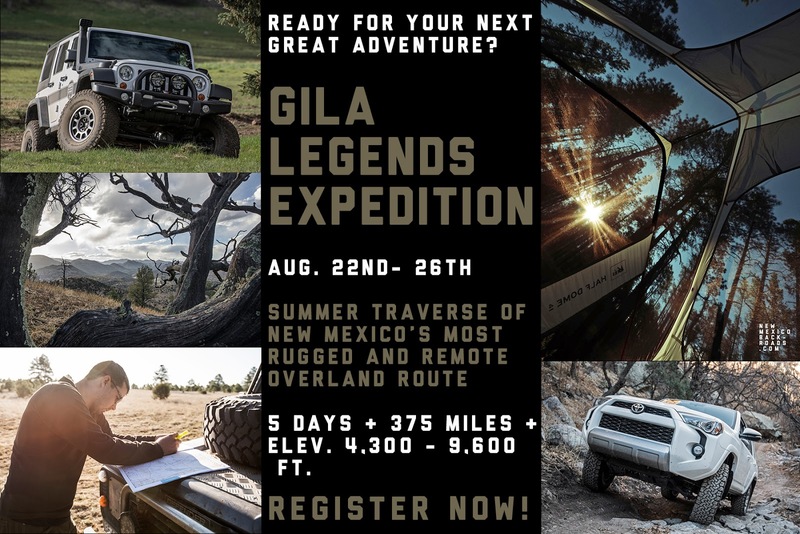 GLE Overview: Summer Gila Legends Expedition [GLE] | New Mexico Backroads' Most Rugged and Remote Adventure - Monday, August 22nd through Friday, August 26th | New Mexico Gila | 5 Days | 375 Miles | Elev. 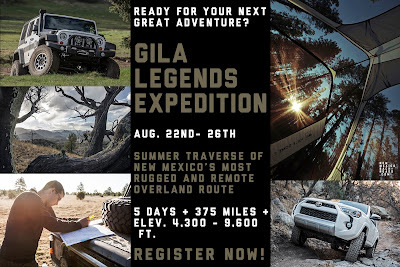 4,300 to 9,600 ft. | The Gila Legends Expedition provides New Mexico’s most rugged and remote overland route. Areas of exploration will include Black Range, Plains of San Agustin, Mogollon Mountains, Tularosa Mountains, Elk Mountains, Continental Divide, and Chihuahuan Desert.